Flipkart is hosting a Musical Monday on its platform under, which they are offering up to 75% off on audio devices today. 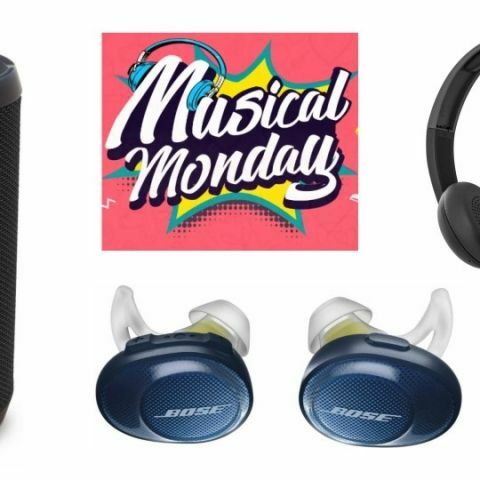 Flipkart Musical Monday sale consists of plenty of deals and discounts on audio devices, which are from brands like JBL, Bose, Skullcandy and more. If you’re thinking of purchasing a JBL device then you can also get an additional 10% discount on making payment through any prepaid mode of transaction. The offer is valid on only selected products from JBL. So, let’s just take a look at the best deals, which are going on Flipkart on audio devices during the Musical Monday sale. The JBL Flip 4 is a wireless Bluetooth speaker that features an IPX7 rating. As per the company, the speaker can provide up to 12 hours of audio playback in one go. During Flipkart Musical Monday sale, this music streaming device is priced at Rs 7,599. One can also get an extra 10% off on this purchase via any prepaid mode of transaction. Also, during this offer period, you have a chance to win a JBL Boombox at Rs 1. Check out the deal here. Another JBL speaker, which is available on offer during this sale is the JBL Clip 3. The speaker is priced at Rs 2,999 down from its MRP of Rs 4,499. You can also get an additional 10% discount on this purchase if you will make payment through any prepaid mode of transaction. Check out the deal here. The Skullcandy Uproar is a wireless Bluetooth headphone that comes with the ear-cup mounted controls for managing calls, audio tracks, volume and more. The device is now available on Flipkart at a price of Rs 3,099 down from its original launch price of Rs 5,099. Check out the deal here. Bose Sound sports is a sweatproof wireless in-ear earbud that comes with up to five hours of battery life. The earbuds are available on Flipkart at a discounted price of Rs 17,091 down from its MRP of Rs 18,990. Check out the deal here. The boAt Rockerz 400 is a wireless on-ear headphone that comes with a built-in microphone and the ear cup mounted controls to manage audio tracks, calls, and volume. The device is available on Flipkart at a discounted price of Rs 1,699. Check out the deal here.